Last Blog Topics for weeks 10 and 11. 1/ Write a letter to Jock McIvor explaining to him how you yourself have been going through some deep personal self-questioning, trying to work out whether the company you keep is in the best interests of your own personal growth. 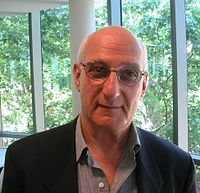 2/ Write a letter to David Malouf thanking him for raising such relevant issues for contemporary Australian society. 3/ Find out more about John Clare and see if you can shed more light on who he was and why Malouf might have been drawn to his poetry. Remember you are always welcome to construct your own creative and/ or critical topic. *Note carefully in your diaries that David Malouf will be a guest lecturer at our Friday morning lecture NEXT WEEK (ie 22nd October). Please come armed with your question for David Malouf. His answer could have a deep relevance to the answer you write on your Malouf question in the exam. Please note that I will be going through how to set up your WordPress ePortfolio at the lecture this week.